Chiropractic care is an excellent treatment for people suffering from neck pain. Many people suffer from neck pain or tension and may not be aware of the types of treatment options available to them. If your neck pain is the result of a musculoskeletal problem, chiropractic may help. The position of your head plays an important role in determining your posture. A strong, natural posture is one with your head directly over your shoulders. Think of it like this: your ears should form a vertical line connecting them with the middle of your shoulders. Variations away from this may set up postural problems including neck pain. What about Neck Pain after a Car Accident? The sudden impact associated with a car accident (or many other serious accidents) may result in a sudden forced movement of the head or neck and a rebounding in the opposite direction. This is known as whiplash and may result in damage to intervertebral joints, discs, muscles and the nerve root, as well as muscle fatigue, pain and stiffness. Chiropractors recommend you attend a chiropractic clinic immediately after any accident and advise the Doctor of Chiropractic that you were involved in an accident. 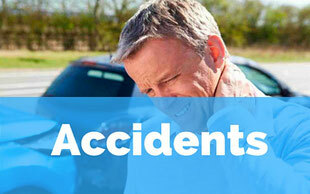 You may need some treatment to help remove/relieve the impact of the accident. As part of a literature review (Vernon et al.) 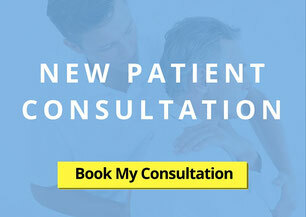 conducted by the Journal of Manipulative and Physiological Therapeutics (published March/April 2007) the researchers reviewed nine previously published trials and found ‘high-quality evidence’ that patients with chronic neck pain showed significant pain-level improvements following spinal manipulation/adjustments. No trial group was reported as having remained unchanged, and all groups showed positive changes up to 12 weeks post-treatment. What Happens if my Neck Pain is not Treated? In some cases, neck pain may be a symptom of an underlying structural problem, it's may not be the problem itself. 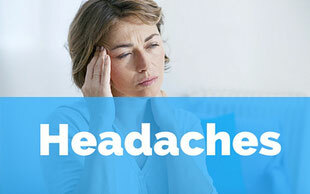 Taking pain medication may provide short term relief, however will not address any underlying causes. Many people let spinal problems go uncorrected and this may lead to a 'health crisis' at some point in the future. If left untreated, over time the area may become more problematic. The longer you put off treatment, the longer it may take for your body to heal and recover. How Does Chiropractic Treat Neck Pain? Can a chiropractic adjustment help with neck pain? In some cases, yes. A chiropractic adjustment is a precise procedure applied to the joints, usually by hand. An adjustment works to improve mobility of the spine and to restore normal range of motion and increase muscle movement. A series of adjustments can help mobilise the entire spine, allowing for improved ability to twist/turn more naturally and a reduction in pain, stiffness and soreness. Manual therapy including chiropractic may help to improve posture and restore a more natural alignment to the spine and structure. Our team at Lyons Road Family Chiro will work with you to identify the cause of any neck pain and recommend appropriate treatment options. When was the last time you had a spine and nervous system checkup? Please call or email today. 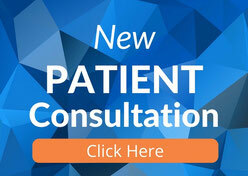 The team at Lyons Road Family Chiro are happy to answer any questions and can help you today. Vernon H, Humphreys K, Hagino C. ‘Chronic mechanical neck pain in adults treated by manual therapy: a systematic review of change scores in randomized clinical trials.’ J Manipulative Physiol Ther. 2007 Mar-Apr;30(3):215-27.